Salon Diva & Spa Inc.
All Services include a Consultation, Shampoo & Style. Prices may vary due to length of hair, amount of product used & time involved. A general price will be given before we begin. Corrective Color Price upon Consultation. All perm services include a Consultation, Shampoo & Style. Prices may vary due to length of hair, amount of product used & time involved. A general price will be given before we begin. Treating you with vitamin C and anti-stress additives while softening & smoothing skin. This treatment is recommended for oily skin that is congested. A great teen facial treatment. A firming & pore reducing facial with a Glycocid peel. A firming facial also helps restore skin by tightening & compressing tissues. This compression sets up a biological response in skin. This treatment includes a gentle exfoliation & skin analysis tailored to your needs. This facial includes deep cleansing of skin, exfoliation, and a massage. An anti-aging skin conditioner will finish off this facial leaving every rugged face healthier & younger looking. 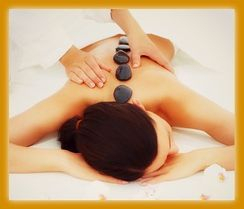 Nationally certified in Therapy Massage & Bodywork from soothing relaxation to deeper therapy for specific problems. A full body, relaxing & soothing massage. A must after a stressful week. A light full body massage given after a work-out or hard work to stretch out muscles & stimulate circulation. A full body massage combines different forms of massage in the session to meet your needs, from relaxation to deeper therapy for specific problems. Includes hot stones & hydro collator hot pack as needed. You are seated and fully clothed, no oil is used. Massage focuses on head, neck, shoulders & back. Good for stress release & physical problems associated with repetitive tasks. Special Spa Packages made by request $60.00 & up. 1 hour Massage - 1 hour Facial, Spa Manicure & Spa Pedicure, Shampoo & Style. Express Pedicure - Express Manicure, 1 hour Facial or 1 hour Massage, Shampoo & Hair Cut. "Gift Certificates Available for all services"